Love it! Love the blog, the videos, all of it. My family is on a similar journey albeit in the infant stages. I'm curious if you have found that you still have to fertilize the garden (whether with organic or non organic fertilizer)? Most of the local advice I have gotten is that even with good soil fertilization is necessary which obviously can drive the cost up a lot. Thanks for any insight you can provide! Thanks! I have never purchased any fertilizer for any of our gardens, ever! 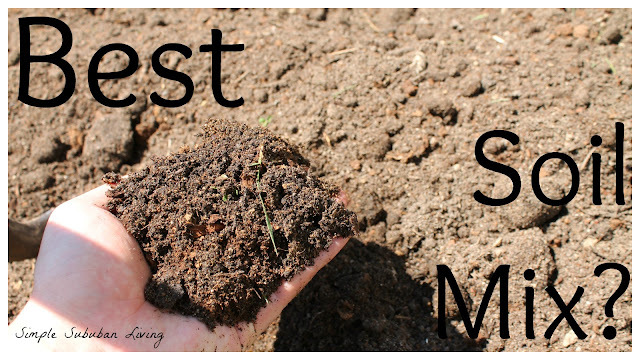 with good soil you do not need any fertilizer other than amending each year with good compost and that sit! How did you do with these containers? in particular the soil mix work out good or would you have done differently?